As previewed in a blog post from several days ago, the Cassini spacecraft executed another in a series of close flybys of Saturn's geyser moon Enceladus on Thursday. 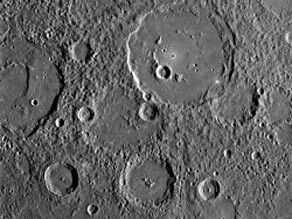 The first images are now available, with more to follow in the coming days. 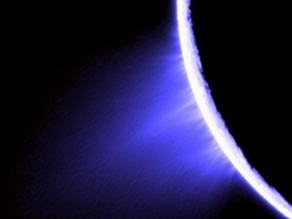 Cassini Imaging Team Leader Carolyn Porco reports that all went according to plan: "Yesterday, Cassini executed another daring dive over the south polar region of Enceladus and through its plume of vapor and frost. And once again, it went spectacularly well. The imaging team acquired fabulous images, and the instruments designed to collect and measure the constituents of the plume for analysis did what they should." I'll keep an eye out and post again when the science analysis comes out. 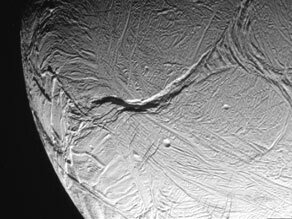 As noted earlier, there is another Enceladus flyby scheduled for October 31.